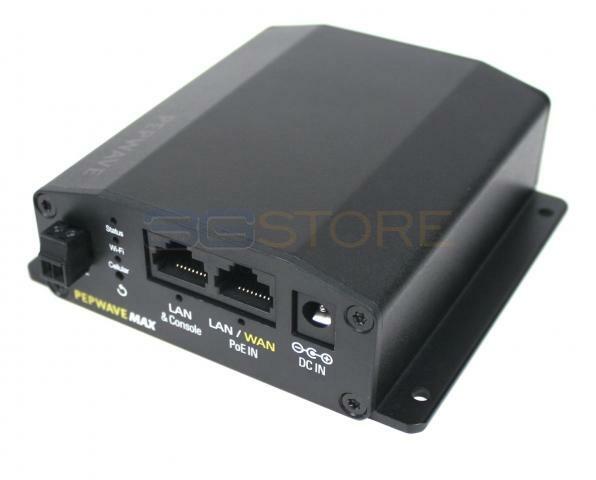 Congrats to IAN G R. of Leesport, Pennsylvania who just won a $25.00 Restaurant.com gift code for writing a review for Pepwave MAX BR1 Mini with Embedded LTE Advanced Modem at 3Gstore.com! Every week we randomly pick one product review from the previous week and award the writer a $25.00 gift code. We appreciate ALL the reviews our customers write, whether they are positive or negative - honest reviews like IAN G R.\'s help other customers decide if the product is right for them. After you purchase a product from 3Gstore.com, we encourage you to log in and 3Gstore.com and leave a review letting people know how the product worked for you - you'll be helping others, and you'll automatically be entered to win a restaurant.com gift code!. This is a great device. However, I bought the version with the LTE-A radio. For Sprint, this requires a sim card numbered SIMGLW106Q. This sim card seems to be just about unobtainable. My intended cell service supplier & 2 local sprint stores could not get one. I contacted Pepwave via their Forum and they replied that they got one from Sprint direct. So this device seems currently to work on ATT & T-mobile only. Beware.